Intended for transportation and fast deployment of smaller objects. 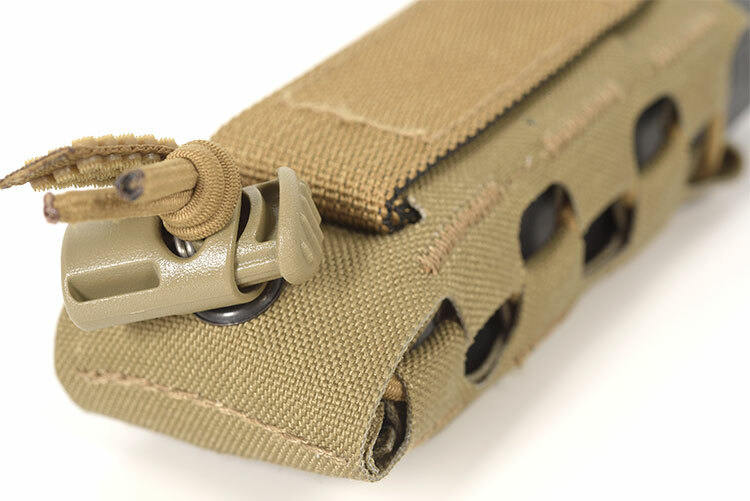 Retention cord with pull-tab permits fast access to any object such as tactical light or pistol magazine. 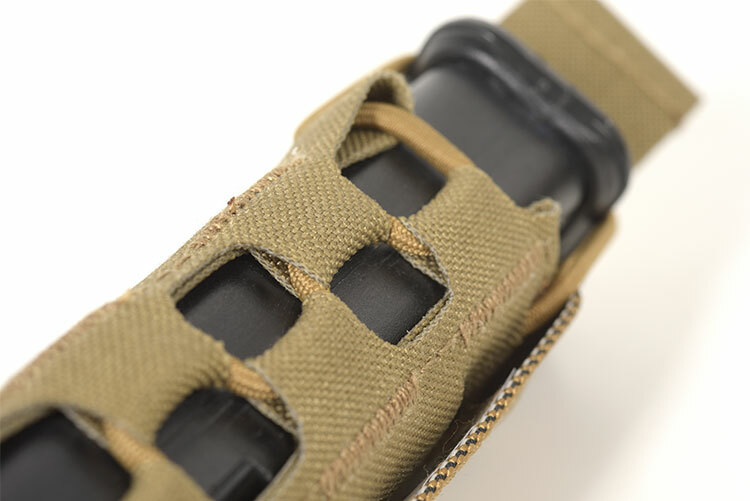 The construction enables the pouch to remain entirely flat when not in use. 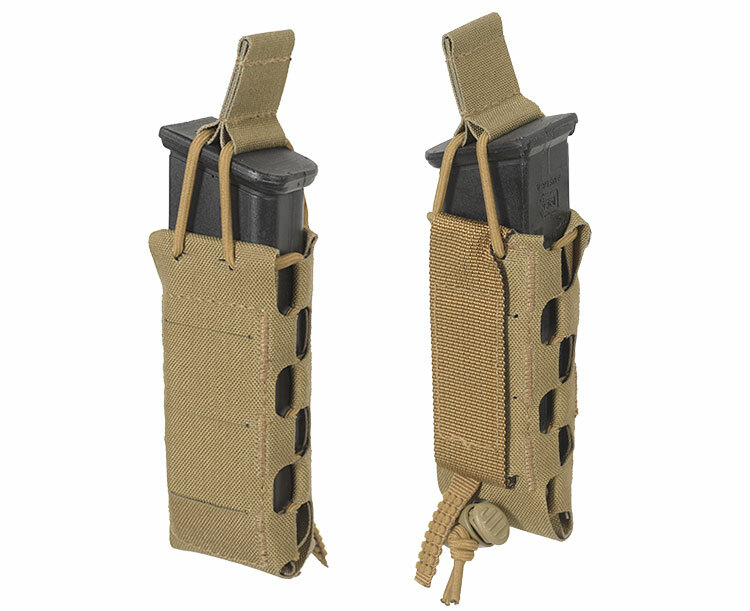 Expandable retention in height and width makes it possible for the pouch to carry various sized and shaped objects.